It is mid January and we are in the midst of winter here in North America. Even Santa Fe, which is usually not bitter cold has seen a blast of chilling winds and snow. 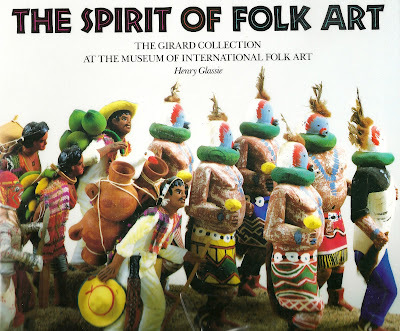 It is a perfect time to spend an afternoon (or two) at a museum.. We are blessed with many fine museums and galleries, here, and one of my favorites, of which I often write, is The International Folk Art Museum. 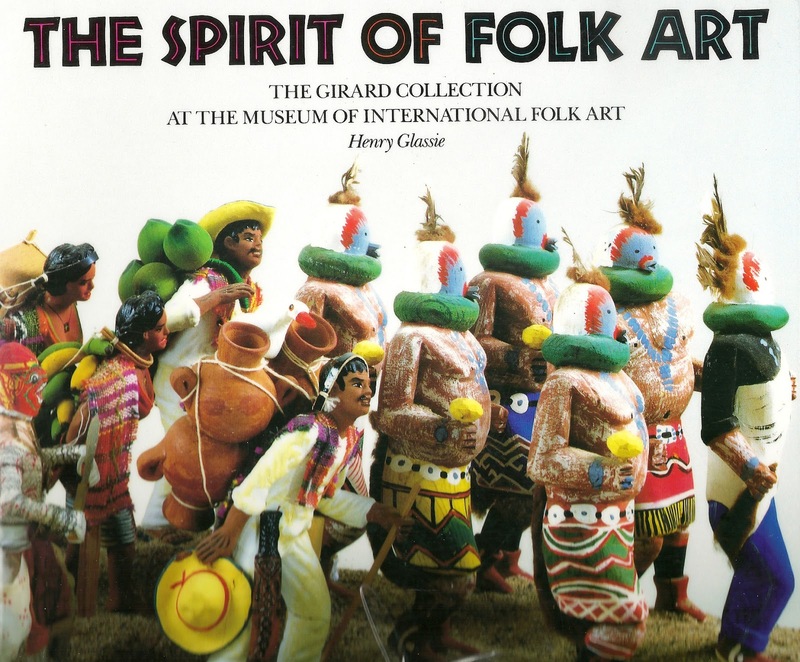 One wing of the museum was designed in 1981 (opened in 1982) by Girard to house the Girard Family Foundation Collection of Folk Art. Over 100,000 pieces collected by Girard and his wife, Susan, are in the collection and are on view, many displays were designed by Girard himself. This fascinating array of folk art from around the world cannot be appreciated in a single viewing. Indeed, every time I visit I find objects that I had overlooked. Small ceramic pieces arranged in a depiction of village life, fiber flowers, and, of course, examples of very fine textiles. These objects were not created in factories, nor manufactured in lots of thousands to be sold on the open market. Rather, each has been created by craftsmen and represent the artistic considerations of their ethnic backgrounds. He is probably one of the least known, but at the same time , one of the finest designers of textiles in modern times. Born in New York, he was raised in Italy where he studied architecture. Eventually, he moved to Detroit and worked as a designer for Ford and Lincoln Motors and as a color consultant for General Motors. Fortunately for us New Mexicans, he and his wife, Susan moved to Santa Fe in 1952 and became the director of textile designs for Herman Miller until 1973. His designs reflect his training in architecture and are known for his explosive use of color. He designed over 300 textiles, as well as, wallpapers and decorative prints, furniture and other decorative objects. “The 20th-Century Textile Artist” in 1999 at the Institute. 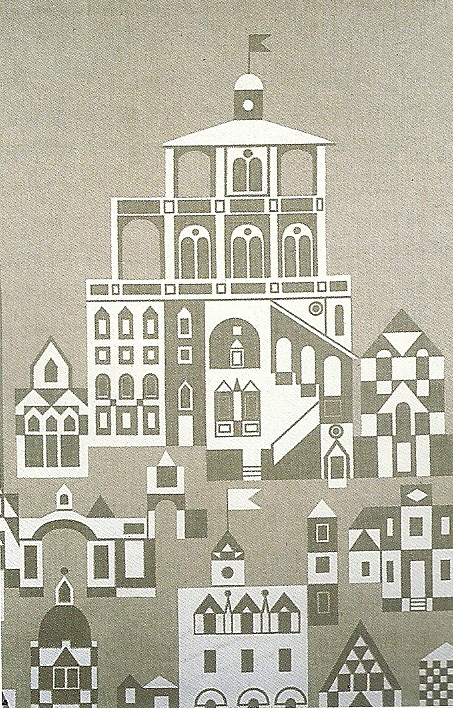 The Herman Miller collection is reissuing some of Girard textile designs. Also, Girard Studio was created by the Girard family to “preserve and promote the design legacy and archive of Alexander Girard”. Its mission is “Reintroducing Girard to the public”. Of interest to those of us dining in Santa Fe, the interior of the famous Compound restaurant was designed by Girard in 1966.